This collection of interviews offers unprecedented insight into the plays and creative works of Suzan-Lori Parks, as well as being an important commentary on contemporary theater and playwriting, from jazz and opera to politics and cultural memory. 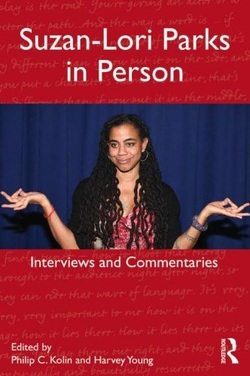 Suzan-Lori Parks in Person contains 18 interviews, some previously untranscribed or specially undertaken for this book, plus commentaries on her work by major directors and critics, including Liz Diamond, Richard Foreman, Bonnie Metzgar and Beth Schachter. These contributions combine to honor the first African American woman to receive the Pulitzer Prize in drama, and explore her ideas about theater, history, race, and gender. Material from a wide range of sources chronologically charts Parks’s career from the 1990s to the present. This is a major collection with immediate relevance to students of American/African-American theater, literature and culture. Parks’s engaging voice is brought to the fore, making the book essential for undergraduates as well as scholars.